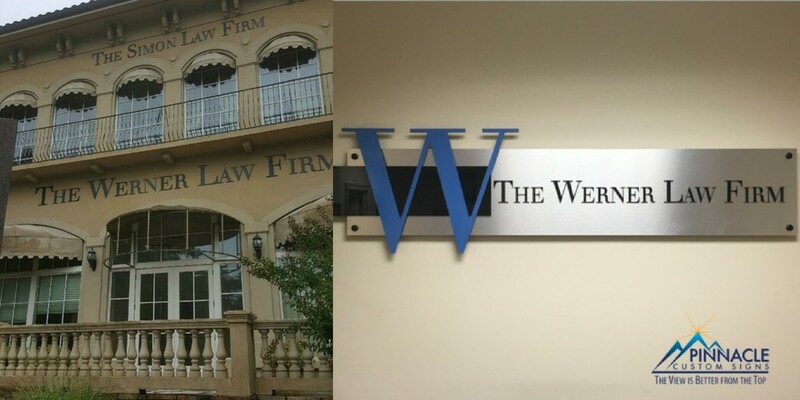 The Werner Law Firm are personal injury trial attorneys located in Tucker, GA, just outside of the 285 Atlanta perimeter, with a second office in Buckhead. They focus on representing those who have been seriously injured due to someone’s negligence or the family of those who have been killed due to negligence. Before Michael L. Werner became a trial attorney, he specialized in anesthesiology at Emory where he encountered numerous victims of negligence; it was this experience that led him to become an attorney. His partner, Matthew Wetherington, is equally as motivated in defending victims and is a rising star among the Atlanta-area attorneys. In 2016, we were contacted by a senior paralegal, Sherry Rosen, about new law office signs for their Buckhead office location. They were in a great location but needed better branding for the exterior and interior of the building that they shared with The Simon Law Firm. To accomplish this, we designed two interior branded signs, one for above the doors to their office suite and the other for over their reception desk. The directional sign used a black acrylic lettering on a brushed aluminum backer and was mounted above the doors leading into their office lobby area. The lobby sign used similar materials but also included the large branded “W”. This sign was mounted on black standoffs to give it an extra-dimensional element. Using a similar style, the building signs were routed black PVC lettering. We later installed an LED digital message board in the monument sign at the front of their building. 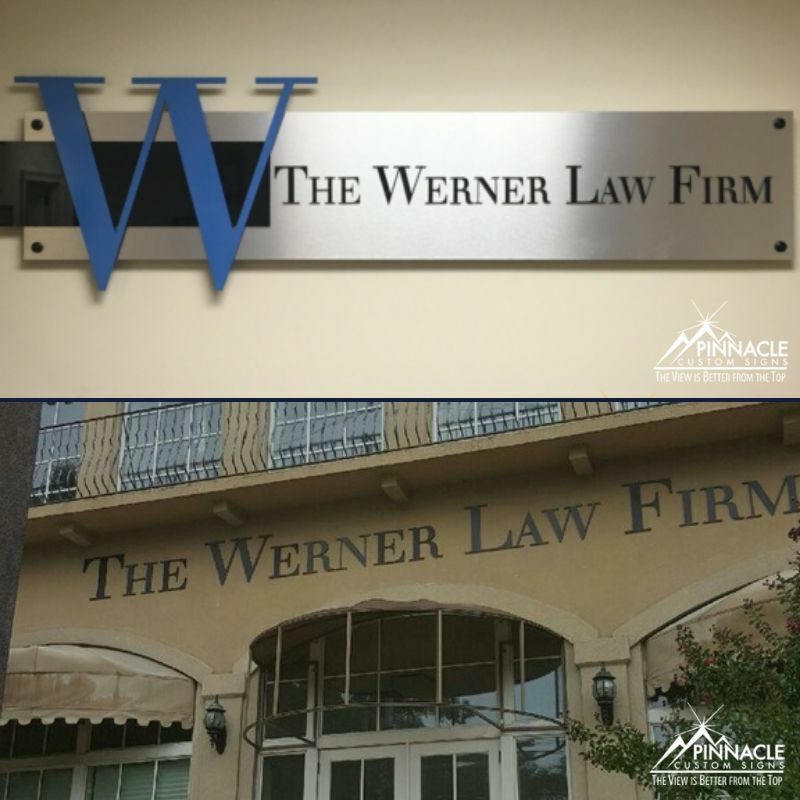 Looking for a sign company close to The Werner Law Firm? We’re not far away!